Insiders say there’s more to Lee Lin Chin’s SBS exit than suggested | Daily Review: Film, stage and music reviews, interviews and more. Former SBS newsreader Lee Lin Chin is still lighting up social media with her legion of fans lamenting her departure last week after 30 years with the network. Despite Lee Lin Chin, a prolific tweeter, advising them she has not retired, reasons for her leaving the newsreading role have not been clear, though she has been adamant that she is not finished yet. Last week she tweeted: “I have not announced my retirement. I simply am not reading the news on SBS anymore. I’m open to returning to SBS or appearing on any other network. Trust me, I’m not done yet”. More cryptically, she tweeted in response to colleague Anton Enus, her successor at the news desk: “We all have our contractual obligations and yours was to watch my back”. We all have our contractual obligations and yours was to watch my back. According to SBS insiders, Lee Lin Chin’s departure was decided in March when renegotiations for her contract broke down. Her departure date, the insiders say, was eventually planned not to overshadow the departure of SBS managing director Michael Ebeid who formally announced his departure from SBS on July 30 to join Telstra. She referred to her SBS contract, saying: “I thought SBS would just fire me one day so I’d never have to make the decision, they obviously didn’t and in fact offered me a two year contract extension at the start of the year. So I had to start considering it a lot more seriously”. According to one SBS staffer, a gathering to celebrate Lee Lin Chin’s final broadcast on Sunday, July 29 was not attended by the newsreader. “She didn’t attend the party at all – she escaped straight out of make-up to the fire escape and out the building,” the staff member said. (The SBS newsroom has long been described by many who work there, or have worked there, as tolerating a culture of bullying. Its MD Michael Ebeid was recorded at a staff meeting in 2016 discussing bullying issues after a series of articles in Daily Review detailing numerous current and former staff complaints of a “toxic” workplace, particularly in the newsroom. Ebeid denied there was a bullying problem and attacked Daily Review and “disgruntled”staff. 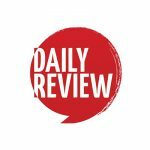 Daily Review approached SBS for comment but did not hear back by time of publication. Attempts to reach Lee Lin Chin were not successful. & now I yelp farewell thee go Lee Lin !! There’s a name for that – Fascism ! Lee Lin obviously has not taken this ‘departure’ on the Chin…..thats probably because she has a tongue firmly in both cheeks!! Not cryptic at all – it’s a reference to and direct quote from the ‘newsreaders death match’ video produced by The Feed in which Anton comes to Lee Lin’s aid. Of course Lee Lin didn’t want to go to a party organised and largely attended by the people who helped her out the door. Are these people mental ? Or is that how it’s done at Channel 10 or WAS done since now they’ve left there and come to SBS with their toxic, bullying culture. These people don’t “get” Lee Lin or SBS. Plus they’re massive hypocrites who could slander someone and give them an air kiss in the one breath. Here! Here Tom Price ! The news department HAS been “eviscerated’. When was the last time Dateline got a Walkey or even a nomination for one ? Since when did multicultural broadcasting at SBS mean rushing out to cover Asian crime or filming a food truck? Since Jim Carroll & his band of conservative not merry men and women arrived. Unfortunately the ex channel 10 virus has now spread to Broadcast Operations and the bullying and demoralisation of the workforce continues. Autocratic mind boggling arrogance go hand in hand with incompetence and narcissism when it comes to managers and supervisors. Forget about trying to take any leave if you work in Broadcast OP’s despite the fact that SBS official policy encourages leave and forces you to take it if you accumulate too much. The same managers who enforce a no leave policy quite happily grant themselves some well deserved time off though. Phew they really NEED it , being huge ARSEHOLES is SO tiring. Just call me “Mike”Ebeid has never “stood” for anything other than himself. He has always liked to pretend that he’s running Google or Facebook at his pathetic Town Hall meetings rebadged as Communic8 ! How EXCRUCI8 ing . Unlike Michelle Guthrie and Mark Scott at the ABC who have defended and still defend public broadcasters right to exist independently of government interference we never hear a peep , or a bark from our faithful poodle or should I say Lapdog Mikey. He’s too busy organising the new tiles in his private bathroom or the stripped back look in the atrium- sooo modern and totally aaaagile. Or of course his latest junket. This time it’s to Telstra & just in time to avoid any awkward questions about selling rights to Optus for the World Cup that the Australian public, also shareholders in SBS deserved to see on free to air. Nice work F. Thrower. Testify! No, you are all wrong. Lee has got a more attractive offer from commercial networks. She will replace Andrew Bolt as head shock jock. Have a look at the staff turnover at Dateline in the last few years. “She escaped straight out of make-up to the fire escape and out the building”? There are stairs that count as fire stairs not too far from Make-up, but they only lead to the upper floor. They don’t lead to the outside. In any case, the emergency exits are all locked unless there is a fire alarm. You have to leave by the main entrance. Tom Price you are spot on. The bullying going on in the newsroom is appalling. Especially in one small program, more than 10 employees have resigned from the show over the past year. It’s absolutely insane. HR does nothing, endless meetings with zero results…and the bully from the show is STILL working there. Michael Ebeid should be held accountable, he knows what’s going on but did nothing to stop the bullying in the newsroom happening in the past years. Will the government do something to help these employees? Daily Review, if you investigate further you will find MORE stories. Tom Price you are spot on in every observation. Former employee. If you did your research you’d have realised that she a) doesn’t own a mobile phone and b) does not tweet. it’s a parody account run by a producer who works very closely with her. There was a short piece in Crikey on 27 July about Lee Lin Chin’s resignation. There was only one comment by “Ng GJB” to which I replied. As it otherwise disappeared down the memory hole, I reproduce it in full. It summarises the situation sufficiently. The only joke is the ar**hole who wrote this. How did this get past the mods? I’ve been watching Lee Lin Chin on SBS for years now, but in recent times as both the ABC and SBS news departments moved increasingly into fake news and propaganda territory, I puzzled how she could read their drivel with a straight face. Particularly anything to do with Russia: Russiagate, Russian collusion, Russian hacking, Russian meddling, Russian Novichok poisoning, Russia shot down MH17, etc etc etc. I suspect Lee Lin Chin, as an honourable person, finally had a gutful and pulled the pin. There is always more to stories at SBS; they have a methodology to silence dissenting voices. It is this and the fact that few people care much about SBS any more which accounts for the lack of commentary on Michael Ebeid’s departure too. Nearly every mention of it has been essentially a cut-and-paste from the SBS media release because no one really cares. There is, of course, another view of his tenure than the one SBS presents, one which focuses on the fact that there is now an unprecedented level of management by fear at the station, with the majority of employees’ jobs having no security under contract, which was accompanied by that bewildering flurry of suppressed accusations of bullying and intimidation by managers, denied by Ebeid despite endless corroboration especially at Daily Review. Then there was his appalling treatment of Scott Macintyre, resulting in an undisclosed settlement (costing taxpayers how much?) which was typical of the culture at the station and sent the clearest message that SBS management will never back its staff in a difficult situation. And while the real value of staff salaries has fallen due to his intransigent obstructiveness in enterprise bargaining, executive salaries have increased predictably. The station’s commitment to its multicultural Charter was also evidenced in recent years by an email to marketing instructing there to be no subtitles shown in promos and the almost complete absence of any foreign language material (other than the predictable Scandinavian crime) on SBS 1. Then there is Ebeid’s effectively selling off two channels worth of bandwidth to North American networks (Vice and Food) while appointing a sequence of British executives who fancy a few years in the colonies with fancy salaries but who know nothing about multicultural policy (as is evidenced by the endless stream of documentaries about British food and British railways). This is all in addition to his failed attempt to increase the level of advertising in programs when it remains the thing most objected to by SBS viewers, one of many evidences of the contempt with which the place now treats its audience, along with the shameful shifting of timeslots for the most popular programs in another pathetic attempt to maximise revenue. Ebeid has also presided over the evisceration of a once proud SBS news and current affairs department so that all serious challenging investigative journalism has vanished in the interests of appeasing a government which sees fit to cut funding to any network which challenges it. That, of course, is the key and the summary of everything in his seven and a half years, the desire to appease government demands and make SBS into a state broadcaster more than a public broadcaster. The timing of his departure is typically opportunistic, running off before a couple of difficult government inquiries begin, and after pulling off a World Cup scam which claimed SBS rescued it for viewers, whereas SBS caused the debacle in the first place by selling off the rights to Optus after having already secured them, this to massage the SBS accounts to please Senate Estimates. As for his own behaviour in the company, following his very first initiative of building an executive bathroom next to his office in the Artarmon building, he also pursued an almost fetishistic obsession with the Eurovision Song Contest which led to the total absurdity of Australia entering the contest, thereby somehow justifying annual junkets to whichever location the contest went to. I’m sure he enjoyed his nest-feathering tenure, but some of us see through the headache-inducing managerial jargon which fills his emails (and those of his managers), and we will not miss this government poodle at all. Under these circumstances, it’s no wonder Lee Lin got out, the surprise is that she didn’t go sooner.